Getting a new truck or SUV can be a fun and exciting experience, and whether you are planning to use it for work, to transport your family, or to host hayrides or other fun activities, you are likely looking forward to getting the most out of your vehicle. However, one thing you may not have considered is whether your new truck will fit in your garage. 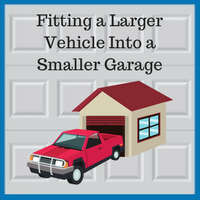 Depending on the size of your truck, you may need to make changes to your garage to better accommodate your vehicle. Before shopping for a taller vehicle, it is very important to take measurements of your garage and garage door. Measure the height, length, and width of the garage and the height and width of the door, making sure to consider the space needed for garage door hinges. When comparing the space in your garage to the size of your truck, be sure to account for how the truck’s bumpers may add to its length or width. Lowering your truck may be the best option to help it fit into your garage. It may be a good idea to remove roof racks or lights to add some space, and you may be able to lower the suspension by swapping in smaller tires. Another good idea to gain height may include lowering the garage floor so that your truck or other taller vehicle will fit in the garage. Building a “bump out” addition to the garage may also be feasible, and you may be able to extend the space by pushing into an adjacent room or closet. A coil-up garage door may also help add space for a truck or taller vehicle. What if Remodeling is Not a Solution? Many people cannot afford to remodel to their garage, even if they have a truck or other taller vehicle. In these cases, there may still be some solutions to help your large vehicle fit into a smaller space. Installing short ramps at the rear of the garage which angle your truck upwards could win you a few extra inches, and installing a roll pan bumper on your vehicle may also allow you to save up to five inches of precious space. Creating the perfect garage for your vehicles can be a complex undertaking, and this is where Blue Sky Builders can provide you with the expertise you need. 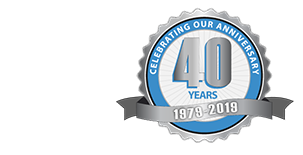 For over 39 years, our garage professionals have provided Chicago and DuPage County homeowners with custom garage solutions, and we are ready to help you build the perfect garage to fit your needs. If you have any questions about how we can help you create your ideal garage, please contact us at 630-852-8485. Please visit our gallery to view some of the great garages we have built.